All I have on Mary Clark is that she was born c. 1800 in Orange County, New York. Her husband may have been Peter or David Wright, born c. 1800 in New York. They were living in 1840 and 1850 in Minisink, Orange Co., NY. In 1870, Mary was living with her son, Samuel Youngs Wright, and his family. 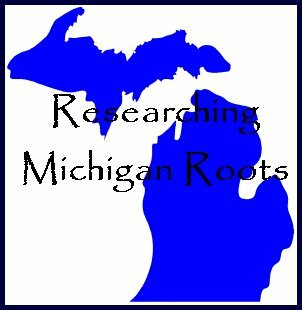 I decided that I had no excuse for not knowing more about my 4th-great-grandmother, especially with all the great records now available online. New York State did not start keeping vital records until 1880, and even then, many counties were not in compliance. So I thought I would look a little harder at the federal censuses in which I had found Mary, as well as look for her in state censuses. First of all, I must explain that I originally learned about Mary from my maternal grandmother's first cousin, Avis (STRONG) RUSSELL, who worked on the family tree for many decades in order to prove our Revolutionary War ancestry in the STRONG line, into which the WRIGHT family married. Avis probably discovered Mary's name from our ancestor William's Michigan death certificate, which I accessed at SeekingMichigan.org in 2009. You can see that William's parents are named as Peter WRIGHT and Mary CLARKE, both born in New York, as William was. The informant was Mary Lucy (WRIGHT) STRONG, William's daughter, and my great-great-grandmother. Mary Lucy was born in 1859. We shall eventually see that this date is significant in why William's parents were listed this way on his death certificate. The first time Mary is named individually on a census was the 1850 Federal Census, the first census that listed every member of a household. 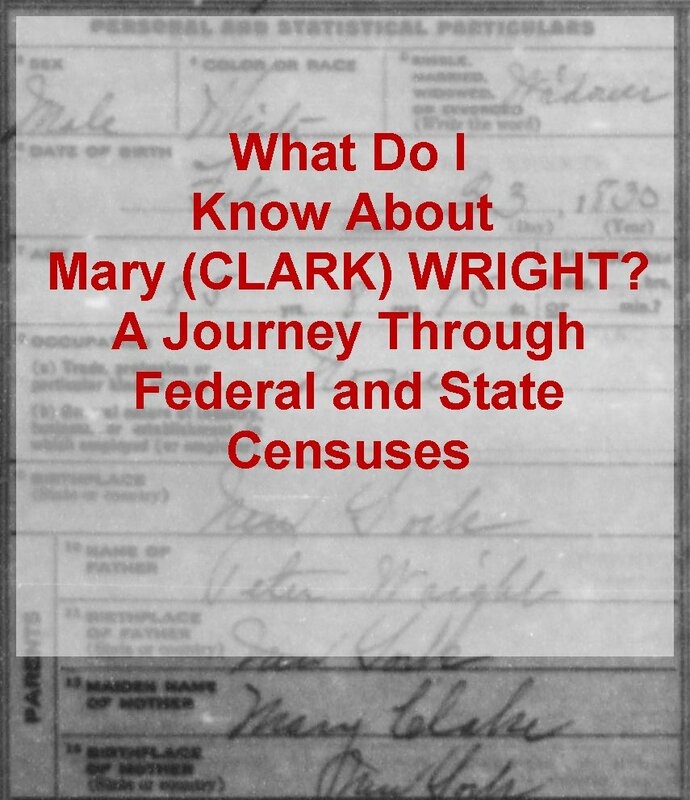 Because of this, I am starting with the 1850 Census and working forward through time until I can no longer find Mary on either federal or state censuses. The I will work backward from 1850 into earlier censuses. Mary was living with her husband David (not Peter) WRIGHT and sons William P. and Samuel Y. in the Town of Minisink, Orange County, New York in 1850. I know that this is the correct Mary, because in the Family Record book of my Hoekstra great-grandparents, my great-grandmother, Lillian Fern (STRONG) HOEKSTRA, names her grandfather William Parker WRIGHT and his brother, Youngs WRIGHT. Also, cousin Avis had told me that Youngs was really Samuel Youngs WRIGHT. Notice that the household enumerated right before David's is Lucinda (WRIGHT) SHERWOOD and Wesley SHERWOOD, Mary's daughter and son-in-law, confirmed by Lucinda's descendant, Lucy (SHERWOOD) SOPER. As you can see, Mary (now widowed) and her son Samuel Youngs are living with her daughter and son-in-law, Lucinda and Wesley, who now have three children: William H., Thomas, B., and Evangeline. You will note that all of them, with the exception of the youngest two grandchildren who were born in Tioga County, state they have lived in this county for four years, showing that they would have immigrated from Orange County around 1851. Did David die before their move or did he immigrate with them and die in Tioga County? I have checked probate records for both counties, and have not found him listed, but then again, in 1850 he had no property and was a laborer. He probably had no estate to distribute after his death. So what have I learned about Mary (and her family) from the 1850 U.S. Federal and 1855 New York State censuses? Mary was born about 1800 in Orange County, New York. Her husband, David WRIGHT, was born about 1800, also in Orange County. They were probably married by 1825, perhaps in Orange County. This is based on the approximate birth year and birthplace of their oldest known child, Lucinda. Daughter Lucinda was born about 1826 in Orange County, New York. Son-in-law Wesley was born about 1825, in Orange County, New York. Lucinda and Wesley were probably married by 1847, probably in New York. This is based on the birth year of their oldest known child, William. Grandson William H. SHERWOOD was born about 1848, in either New York or New Jersey. 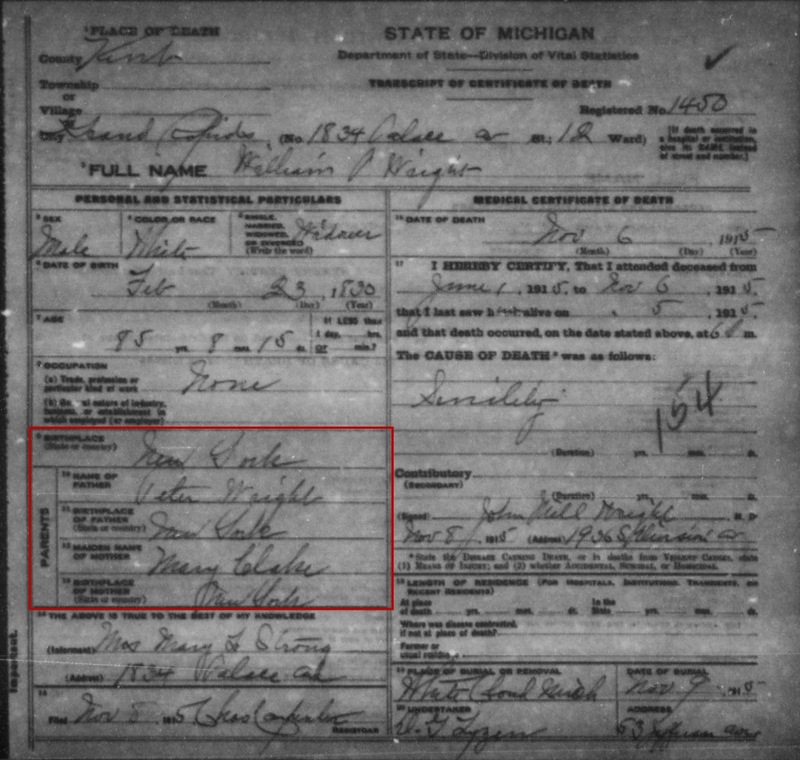 Son William Parker WRIGHT was born about 1829 in Orange County, New York (1850 census); although in 1855, his birthplace is shown as New Jersey. Son Samuel was born about 1840 in Orange County, New York. Given the gaps between the ages of the sons, it is likely that Mary and David had other children, who either died young or are living elsewhere, as yet unidentified. David was a laborer and did not own any real estate in 1850. Sons William and Samuel were minors in 1850 and still living with their parents. William appears to be unemployed. Samuel was a schoolboy. Son-in-law Wesley was a blacksmith in 1850 and in 1855, but also did not own any real estate in either year. He also was listed as a native voter and citizen in the Town of Nichols in 1855. 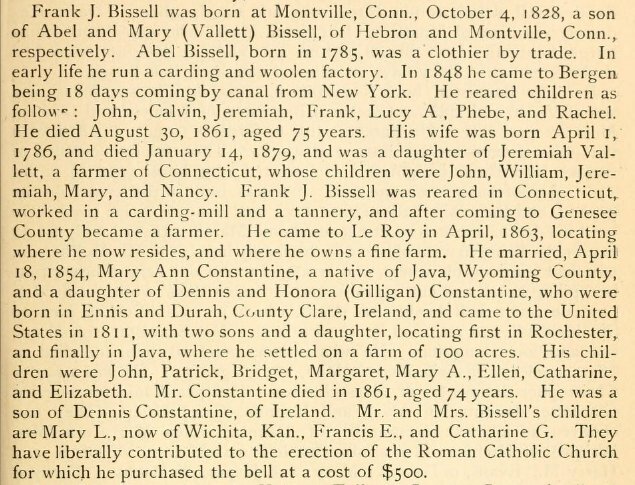 Although the census day for 1850 was June 1st, the family was probably still residing in the Town of Minisink on August 20th. By June 1, 1855, David had died. It is not known if he died in the Town of Minisink, Orange County, or in Tioga County. It is even possible that if he immigrated with his family c. 1851, he could have died along the way. My theory is that he died before immigration, and his death was the "push factor" that caused the family to immigrate. However, I will keep looking for documents that mention his death. The family immigrated from the Town of Minisink, Orange County to Tioga County (the Town of Nichols and the Town of Candor) around 1851. The family would have consisted of at least Mary, Wesley, Lucinda, grandson William, son William, and Samuel. David may have immigrated with them and died along the way or in Tioga County. There may have been as-yet-unidentified other family members who also immigrated. Daughter Lucinda and son-in-law Wesley had at least two more children by 1855: Thomas B., born c. 1852 in Tioga County; and Evangeline, b. c. 1854, also in Tioga County. Mary and son Samuel are living with Lucinda and Wesley and the three grandchildren in 1855. The home is frame and worth $200. Paying $200 in 1855 was the equivalent of paying $5133.94 in 2015 (home values don't necessarily translate the same way). The census day for 1855 was June 1st; the enumerator visited the Sherwood-Wright household on June 25th. Son William was married probably by 1852 to Ann E., possibly in Schenectady or Tioga County. From other family records and documents, we know she was Ann Elizabeth ROCKWELL. 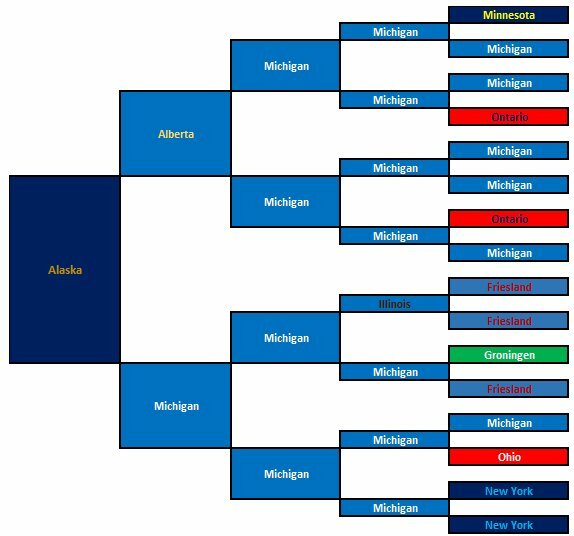 The date and place of marriage are estimates based on the approximate birth year and birth place of their daughter Celia, as well as the probable residence of Ann around 1852. In 1855, son William, daughter-in-law Ann, and granddaughter Celia were living in the Town of Candor, Tioga County, enumerated just before Ann's parents' household. Their home is log and no value is given for it. Daughter-in-law Ann was born around 1829 in Schoharie County, New York. Granddaughter Celia E. was born around 1853 in Schenectady County, New York. Celia's birthplace may have been a temporary residence for her parents (such as on a visit), since she is shown as having lived in Tioga County for two years, her father for four years, and her mother for 20 years. Son William is a mason, a native voter and citizen, but does not own real estate in 1855. Mary had four grandchildren by 1855: two grandsons and two granddaughters. At least 25 facts were gathered and several theories formulated from just two documents! 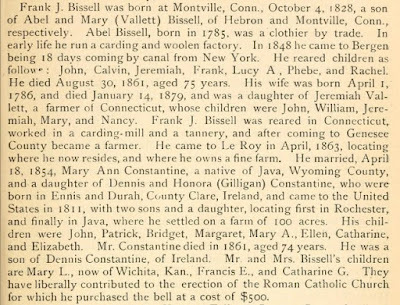 There seem to be New Jersey connections, and son William and daughter-in-law Ann appear to have traveled a bit early in their marriage. Next time, we'll take a look at census records from the 1860s. 1. 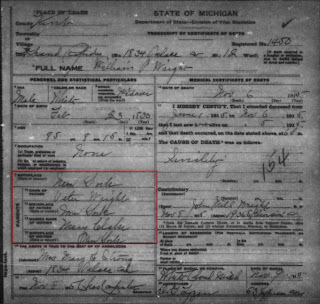 Michigan Department of State, death certificate no. 1450 (1915), William P. Wright; digital images, State of Michigan, Seeking Michigan (http://www.seekingmichigan.org : 2009). 2. 1900 U.S. census, Kent County, Michigan, population schedule, Grand Rapids Ward 11, ED 87, p. 5A, dwelling 93, family 102, Charles F. Strong household; digital image, Ancestry.com (http://www.ancestry.com : accessed 30 January 2016); citing NARA microfilm publication T623, roll 723. Mary L. Strong, born Feb. 1859. 3. 1850 U.S. census, Orange County, New York, population schedule, Town of Minisink, p. 523/263A (both stamped), dwelling 299, family 322, David Wright household; digital image, Ancestry.com (http://www.ancestry.com : accessed 21 December 2015); citing NARA microfilm publication M432, roll 574. 4. 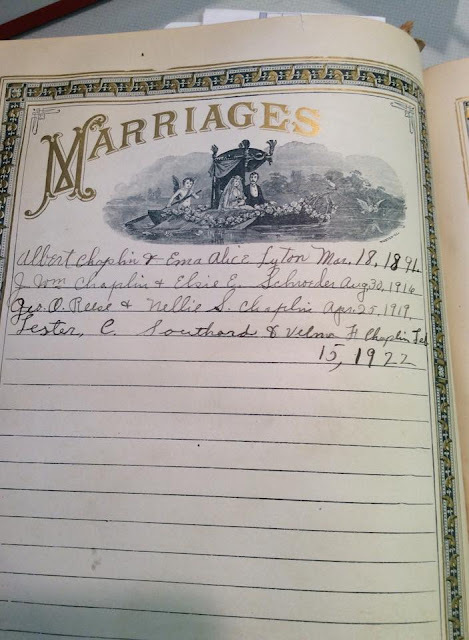 Family data, John Martin and Lillian Fern (Strong) Hoekstra, Family Record Book, (Chicago, Illinois: S. B. Shaw, 1902); citing pages 50 (William Wright) and 128 (Youngs Wright); original owned by Miriam Robbins, [ADDRESS HELD FOR PRIVATE USE,] Spokane, Washington, 2016. 5. 1855 state census, Tioga County, New York, population schedule, Town of Nichols, E.D. 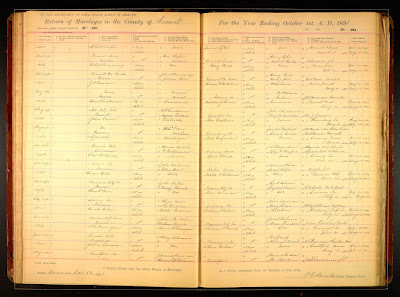 1, p. 26 (handwritten), dwelling 18, family 19, Wesley W. Sherwood household; digital image, FamilySearch.org (http://www.familysearch.org : accessed 21 December 2015); county clerk offices, New York; citing FHL microfilm 816,364. 6.1855 state census, Tioga County, New York, population schedule, Town of Candor, E.D. 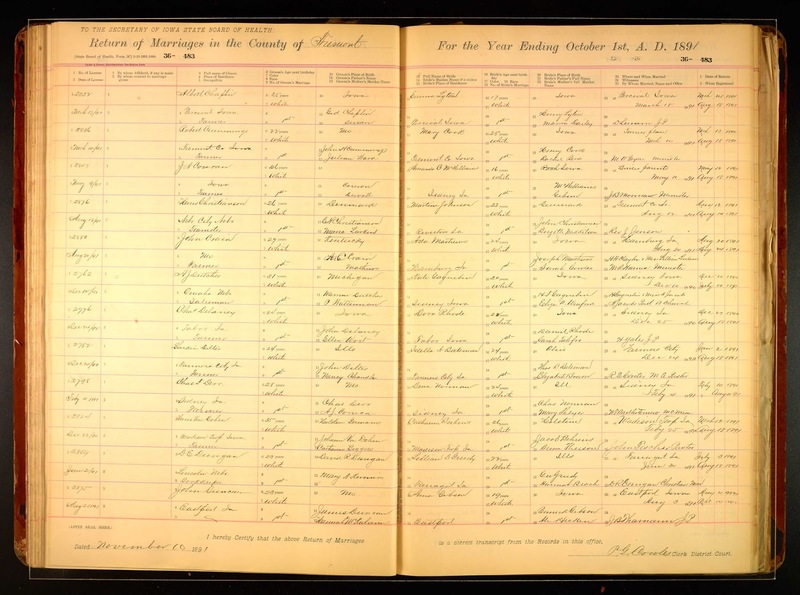 2, p. 83 (handwritten), dwelling 115, family 130, William P. Wright household; digital image, FamilySearch.org (http://www.familysearch.org : accessed 13 January 2016); county clerk offices, New York; citing FHL microfilm 816,364.